It has been three years in the making, but finally the delays are over and the jury selection begins today for the Drew Peterson murder trial in the death of his third wife Kathleen Savio. Drew Peterson, the former Bolingbrook police officer, was arrested in 2009 and charged with the murder of his third wife Kathleen Savio after it was initially ruled that she died from an accidental drowning in the bath tub in 2004. However, it was later changed to a homicide by drowning. During this trial, jurors will hear testimony from statements from the grave of both Peterson’s third wife, Kathleen Savio, and his fourth wife, Stacy Peterson. Such hearsay is usually barred. However, an appellate court ruled jurors can hear them. 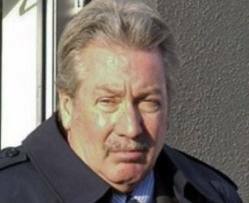 Although still missing, Drew Peterson is a suspect in the disappearance of Stacy Peterson. Jury selection is to begin Monday in Drew Peterson’s long-delayed murder trial, where prosecutors want the former suburban Chicago police officer’s wives — one he’s charged with slaying and another who has disappeared — to effectively testify from their graves through friends and relatives about his threatening to kill them.